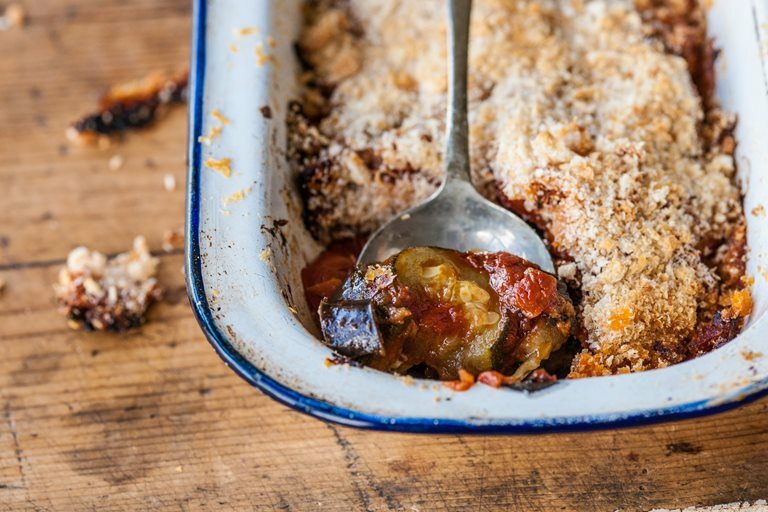 William Drabble's vegetable gratin recipe is a satisfyingly simple dish to add to your collection of dinner staples. A tasty tomato sauce melds together layers of aubergine, tomato and courgette. To make this dish suitable for vegetarians, simply swap out the Parmesan (which contains animal rennet) for a vegetarian equivalent.